I finished Bad Apple Wars some time ago and decided to write my overall thoughts of the game. This will mainly be centered on the the main character, story lines, and the central story of the game. ** Please note that this isn’t a spoiler free reflection. As the story goes, Rinka is in a horrible accident during her first day of high school but where she ends up -NEVAEH Academy– isn’t really that different from where she was supposed to go on her last day alive. As she enters this strange facility during during their entrance ceremony, she comes to realize that she is stuck there until who knows when and has to be a “good apple” (in order to graduate and move forward with a new life) and follow all the weird rules set up by the headmaster and the even weirder teachers. However, there is a certain group of students that aren’t willing to give up their identities and fight back to find a way to return to their current lives — they are the Bad Apples. Depending on the choices made, Rinka chooses what side to stay on but as more rules are broken, the darker side and consequences are shown within NEVAEH Academy. In the beginning, we see that Rinka is a young girl that has simply been following what she has been told to do her whole life. She doesn’t have any strong interests nor does she have any friends. Rinka seems to be running on an empty notion to life and while it seems to bother her, but she seems to fearful to move out of her comfort zone. After her accident and entering NEVAEH Academy,she finds herself going down a similar path, though it takes her a long time to notice that she isn’t in the ordinary high school. When Rinka sees the Bad Apples fighting there is something in her that wants to follow them. She eventually gets the chance to choose the path she wants to go down during a crucial moment for her. As she moves forward within the story, Rinka comes to questions people’s emotions and their motives as why they are doing such things, she is trying to learn but because of this she tends to get stuck in what she lacks and can become depressed about it at times. However, Rinka is shown to be a soft-hearted person who cares about the friends she makes, even if she can’t show it or do much, as shown when she compares herself to them. Depending on the route chosen, she connects the most to one guy, Rinka does her best to understand him and later on help him in his dilemma, though she doesn’t quickly realize that this is out of love more than friendship. Due to being an “empty” person, Rinka also has a certain set of powers that allow her to see the memories and feelings of certain people when she touches them. This is due to her not having a soul tome (something precious to her from when she was alive) like the rest of the cast, but Rinka doesn’t understand this power early on and only later on uses it on a limited basis, mostly with the bachelor of the route. During her time in limbo, Rinka learns a lot about herself and others, but not without some problems throughout the journey. 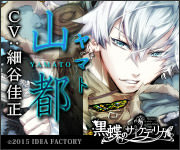 I am writing about each route in the order I played them: Satoru –> Shikishima–> Higa –> Alma–> White Mask. 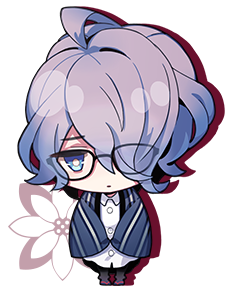 Aside from Rinka, Satoru is the other new student within NEVAEH, but he isn’t much of talker and tends to spend most of his time reading and reviewing his study guide book. As such, he doesn’t really seem to like interacting or dealing with people, which leads to Rinka trying to start most of their interactions, though sometimes he ignores her or say something witty before going back to his book. Satoru is shown to have a deep seated desperation within him that he needs to get a perfect score on the test and when his soul tome is taken away from him, it shown that not doing so makes him feel useless and like a loser. 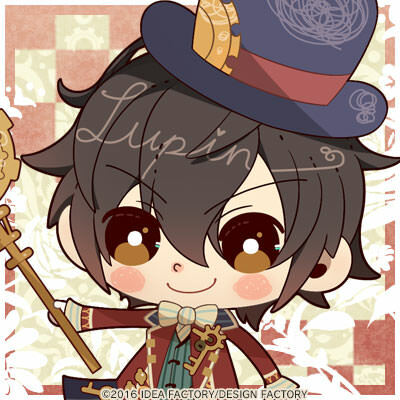 However, once they spend time together, Satoru is shown to be a sweet and kind-hearted kid that has a big chip on his shoulders from when he was alive. It takes a lot of work on Rinka’s part to get him to enjoy the things that they can do within the school and to just start “living a little” and it works for awhile, until Satoru learns where they really are. As the two newest students, Rinka and Satoru are sort of lumped together during the Entrance Ceremony and she ends up looking after him since the Bad Apples and Prefects are always asking her to do in some way. A sort of uneasy friendship forms between Rinka and Satoru as they go through the testing and the school festival, while he might seem tense about a lot of things Rinka is always there to give him a little push forward so that he can have some fun. However, after a certain incident with Suzu, Satoru comes to realize where they really are and sort of gives up on trying to do anything — he is willing to become a good apple and graduate to get away from everything. Yet, Rinka isn’t willing to give up on him just yet and she joins the Bad Apples for one last counterattack during the graduation ceremony. If it works, they go back to their normal lives, but if it doesn’t they just end up in the same place all over again. Personally, what really got to me about Satoru’s route was his tenacity towards studying and the reasons behind it as seen through Rinka’s powers. He is so desperate for one thing that when he loses it, he loses all semblance of his identity but it is also scary to see how he was willing to give up everything in order to achieve that dream for his mother. Satoru needs an equally stubborn person to look out for him and we get that in Rinka. She might not understand why, but it is her that is always pushing him out of his shell, the one telling him that not everything revolves around studying because when she isn’t there to help him — they just both end up in NEVAEH again, as shown in the bad ending. Satoru is just a sweet kid that ended up with some very adult problems because he wanted to achieve the best for his mother, but once he accepts that he can only be the person he can be and cries for pushing himself too hard — it makes you want to cry too. Shikishima is a eccentric, young artist from the Taisho Era (1912 – 1926) that seems to neither side with the Bad Apples nor the Prefects, he is an outsider to both groups and he is okay with that. Most of the time, he seems to be trying to draw something within his soul tome, though nobody seems to understand what it is. Shikishima is kind to everyone, but he is also distant as he chooses to appear only during certain times and it is often Rinka who is searching for him. During all his time within NEVEAH, he seems to have given up and what he was searching for and there is a restless desperation with him to have someone understand what he has painted and shared with the world, though it seems like an impossible dream at this point. Rinka tries her hardest at this sometimes, but it just ends with both of them being confused and frustrated at the results. However, all that changes after Suzu’s incident and Shikishima throws himself into his art and to find someone might finally see what he has wanted to show the world, completely unaware that person might already beside him. After coming to NEVEAH Academy, Shikishima is one of the first people Rinka sees during the Entrance Ceremony, as he is throwing dark-colored flowers within the gymnasium. Later on, he helps her better understand what is going on within the school and shows her where the Bad Apples are located. As Rinka finds her place within the group, she is always seeking Shikishima out and they gradually become friends, though Rinka still finds a little hard to understand him at times. However, the incident with Suzu occurs and Shikishima becomes obsessed with trying to achieve something similar to the musician and locks himself away in the art room as the Bad Apples fall apart. Rinka tries her hardest to reach out to time and it eventually works, as they decide to help with the Graduation Ceremony counterattack. However before all that, they promise to “find each other” once again, so that Rinka can truly see what Shikishima has been trying to show people all this time. Or, they end up within the academy forever, never really able to understand one another. Personally, I think that Shikishima and Rinka help each other in different ways and times during their time in NEVEAH. Shikishima allows Rinka to accept herself for who she is and even if he isn’t part of the Bad Apples, he is a strong support system for when she is feeling down about something. On the other hand, Rinka –unlike any other person– tries to understand what Shikishima is trying to achieve and promises to look for it once they return to the real world. They also have an easy going relationship where they help each other in their own development and how they view themselves. However, because to the difference in the era that they live in, Rinka and Shikishima never met again and the “good ending” feels like a cop out to who truly holds Rinka’s heart and everything they went through within the route. Higa is the right-hand man –from the Showa era (1926 – 1989)– to the Bad Apples leader and he seems to have a parchet towards being a little crass while also being very good at baseball. He is shown to have a deep dedication towards Alma and is willing to do anything that he orders, regardless of what he might think. In regards to Rinka, Higa seems to be protective and supportive of her but is still a little rough around the edges when talking to her early on, which leads to some confusion and aversion on Rika’s part. Once Rinka starts to get to know him better, she can see that Higa seems to have a one-track mind about a lot of things and is actually very kind though a little on the blushing side. However, there seems to be something wrong with Higa in regards to his memories the longer he spends in NEVEAH. Higa meets Rinka after the Graduation Ceremony and ends up helping (and protecting) her quite a lot after she joins the Bad Apples. Rinka might be afraid of him at first, but she comes to realize that it is just part of his personality. Higa is there to help her during different stages and in return Rinka gets to learn more about baseball and his past. She comes to see that Higa mistakes his past life with the one that he is living in NEVEAH, especially in regards to his older brother and Alma. However, as they are getting along, Suzu’s disappearance ends up destroying an semblance of that, as Higa finds himself unable to follow Alma’s orders. Depending on how Rinka deals with his new personality, it ends up deciding whether Higa will be able to move on from NEVEAH or if he will forever keep confusing Alma for someone else. The development that Higa and Rinka go through has a nice pacing and is very sweet because they go from being weary of each other to caring deeply, though they are always aware of what might happen to them. At the same time, Higa is protective of Rinka but he never stops from pointing out what he thinks is wrong about her logic and ensuring her that she is important in her own way. However, it would have been nice to see more of Higa’s background story and the problem that he has with his memories. They are both important, but focusing on both with how short the chapters are makes the story feel halfway written when it could have just focused on one central issue. The good ending might be rushed in some ways, but it really encompasses everything that Higa cares about and how even when he isn’t there, he is still supporting for the Bad Apples. Higa has a really sweet connection with Rinka and demeanor, but the story doesn’t live up to its full potential. Alma is the de-facto leader of the Bad Apples and seems to be from the later half of the Showa era (1926 – 1989). As such, he is always the one coming up with plans and keeping everyone in a chaotic sort of order. While, he isn’t sure how he arrived to such a position, Alma is shown to be cool and rational under any type of pressure and tends to come up with most of the plans that the Bad Apples decide to go through with. He might seem to not care about things on the surface, but he cares deeply about everyone in the group and is aware of everyone’s problems, though his decisions don’t go well with the whole team. However, due to this, Alma seems like a very isolated individual and doesn’t seem to trust others enough to let them know what is happening to him. Like Higa, Alma starts watching over Rinka and she comes to see all the things that he has been hiding, but he starts to think she is someone else, as his memories become jumbled as well. After joining the Bad Apples, Rinka struggles to find her place within the team and usually ends up hanging out with Alma, who starts watching over her. Rinka helps out during the Bad Apples’ missions in her own way, as Alma tries to encourage her when she is down. At the same time, there seems to be a connection between Alma and Rinka that they don’t seem to understand, as he comes to realize that she reminds him of his past life — particularly of a young girl that was very important to him once. However, whatever progress they are having is dashed as Alma isolates himself after Sanzu’s disappearance, leaving Rinka alone and the rest of the Bad Apples confused on what they should be doing. At this point, Rinka learns the truth of what is happening to Alma and she has to make a decision that can either lead to him forgetting her completely or one that will allow them to finally meet in the real world. 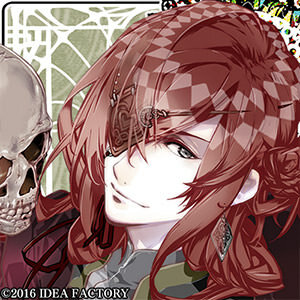 Due to his personality and voice actor, Alma was a character that I was really interested in when Bad Apple Wars was first announced, however things changed while playing through his route. While, Alma is a great person to Rinka, it was hard to get into his route due to his personality and how he seemed to push everyone away. While Rinka seems to support him in any way that she can, Alma doesn’t seem that way until his memories start mixing together. Their background story also seems a little too much since it lays the groundwork for thinking that Alma might only like Rinka for who she once was and not her current self, as shown in the bad ending. While, the good ending was sweet and it was nice to see them together, it just felt like a cop-out for the rest of the cast who don’t get the same treatment. White Mask is the mysterious leader of the Prefects who seems to hold a grudge against anyone trying to disrupt the rules within NEVEAH, namely the Bad Apples. White Mask is very robotic sort of person, but seems to have everyone’s best interest in mind though he does it in ways that is hard to understand. He is extremely distant with everyone, but as Rinka gets to know him, she comes to realize that he does it for a reason. Due to this, he is very mysterious and due to how soft-spoken he can be, Rinka has a difficult time learning who the true person hidden behind the mask is. However, she comes to see that he is someone with a lot of self-loathing and a strong desire to end it all. Rinka decides to follow the rules and become a Prefect, she ends up learning under the tutelage of White Mask, though she struggles here and there — to his displeasure. At the same time, she gets to know more about the Bad Apples and even start to hang out with them, which leads to her further questioning the in-between fighting. As the Bad Apples starts to succeed in their schemes, Rinka sees White Mask despair over what they are doing and what he wants for everyone. As she starts getting closer, he starts to realize that it is better to be alone and dumps her with the Bad Apples as he decides to truly stop feeling. Thus, Rinka works with the Bad Apples in order to save him, though that might lead to her own downfall in the end. To be honest, I loved White Mask as a character but his story was all over the place. There were a lot of things that were left unexplained, especially in regards to how White Mask entered NEVEAH and a lot in regards to his background story. The player is aware that he seems to have some connection to Rinka, but once it is explained it leaves more questions than answers in regards to NEVEAH, to the point that it even goes backwards of some of the game’s established lore. Personally, I really did like his character and how he struggles with what he wants and what he thinks he deserves. First off, I want to note that the art for this game is magical. While, the character designs are a little extravagant or overboard, this game has some of the prettiest CGs and designs I have seen so far. Each character is distinct, and even when they are supposed to fit a certain type, they make it their own as seen with White Mask and Satoru. However, the best design has to go to Naruku, though I wished he had been shown more or even had had a route of his own. The voice acting in awesome, I especially enjoyed it during the White Mask’s route because Shinnosuke Tachibana does a great job in being distant and soft-spoken to desperate and mad when dealing with his true emotions. The music is also great to listen to by itself with a wide range that provides the right tone for everything that goes on within the story. However, for all the good things within the game, the story tends to fall apart at times. It should first be noted that the story, in every route, does a good job is balancing the hope and despair presented in each route (it might even remind some people of the anime, Angel Beats at certain points). There are moments that are happy and silly for the characters, only to be shattered at a moment’s notice and even though it is hard for them, they eventually find what they have been searching for. At the same time, the routes might be short but there is a lot of character development for both the bachelor and Rinka. Regardless of what it going on, they both seem to be stuck in some point and together they are able to find something and look forward to the future together, even if tall is unknown beyond the horizon. It is also good to see that Rinka finds people that she cares about and that she isn’t just any “empty person”; though it is understandable as to why some people might not like her in the beginning — but, she does grown up. However, there are a lot of plot holes within the routes and they sometimes contradict each other. There isn’t an explanation given to the rules or as to why NEVEAH exists in the first place or even its purpose beyond some small explanations peppered here and there. The rules that need breaking aren’t completely explained, which leads to a lot of confusion when it comes to what happens towards the end. There also isn’t an explanation as to why certain bachelors don’t get their happy endings, while Alam and even White Mask get them. Some of the stories are bittersweet, but they also feel like a cop-out because Rinka is obviously in love with the person in NEVEAH and not so much the person she is with — as shown in Shikishima’s ending. Another problem was once again is the localization, which seems to be a constant now with the otome games released by Aksys. However, this time it is centered around important scenes not being translated as shown in Elly’s post. This isn’t anything new, but not translating these very important and emotional parts of the game leaves the player confused and missing out one of the best parts of the game. However, this is a bigger talk about the industry as a whole rather than just the problems within one game. Bad Apple Wars is a really enjoyable game, even with its faults, a great game.